In 2017, 78% of Americans said they were living paycheck to paycheck, up from 75% three years earlier¹. Part of the reason may be that only 41% of us use a budget²,even though it’s one of the best ways to keep track of where our money goes. Just 39% of U.S. households have the savings for an unexpected $1,000 outlay³, such as making out-of-the-blue house or car repairs. Many experts think you should have three to six months of living expenses stashed away. Saving up doesn’t need to be hard. Simply put $40 or $50 a month into an account, and let it build — it will help you feel more secure financially. 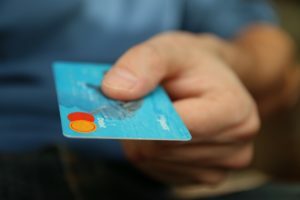 High-interest-rate credit cards: Every dollar you spend paying down a credit card that charges 19% per year is like getting a 19% return on that money. Small credit-card balances: Maybe you signed up for a store credit card and used it once or twice. Carrying a small balance may not seem like a big deal, but retiring this type of debt can give you an emotional boost. You may be able to achieve financial health simply by following these four guidelines. ¹Source: careerbuilder.com. National survey conducted online by Harris Poll on behalf of CareerBuilder from May 24 to June 16, 2018. *Source: https://www.nerdwallet.com/blog/average-credit-card-debt-household/. Balances as of June 2018.